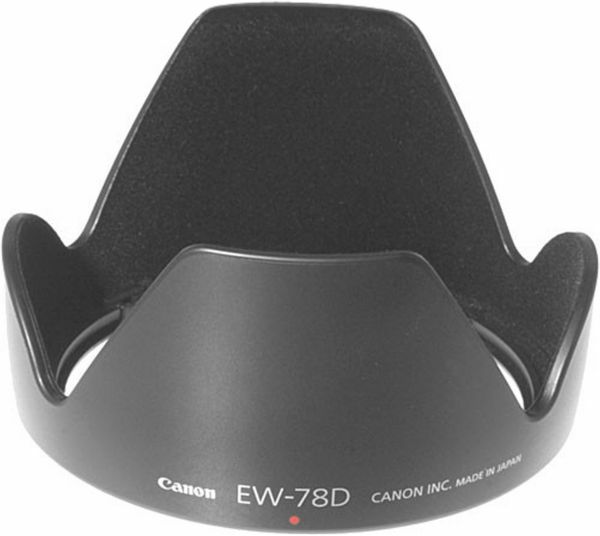 Canon EW-78D lens hood is for those who enjoy photography and has an eye for good pictures. This lens hood prevents unwanted or stray lights to enter in the image, which can affect the overall quality of the picture. Made with premium quality plastic it even ensures the safety of the lens from accidental damages.